Face is a central part of our appearance, so if we’re unhappy with an aspect of our face, it can have a huge affect on our self esteem and confidence. We offer a full range of facial surgery referral options to help you achieve the look you want. If you’re unsure what surgery you want but you know the problem you want to solve, why not book a free consultation with one of the specialised facial surgeons we refer you, who can suggest solutions and help you make an informed decision. The team of experts Nu Cosmetic refer you to have over 25 years experience in performing expert facial surgery, so you can be sure, you’re in safe hands. Many people are unhappy with the size or shape of their nose. A large or misshaped nose can distort the balance of the face and is difficult to disguise with makeup or hairstyles. A nose correction, also called a Rhinoplasty reshapes the nose to a more appealing shape. At the free consultation, the Surgeon and Client Coordinator we refer you to will fully explain the options available to you and the likely outcomes. They will ensure you have all the facts about the surgery and recovery process so that you can make an informed decision. As we age, the delicate eye area can develop loose skin. Loose skin in the upper eyelid can make the eye look hooded and heavy and loose skin in the lower eyelid (eyebag area) makes the eyes look tired. Eye bag removal, also known as blepharoplasty, can correct this. Either the upper, lower or both eyelids can be corrected. At the free consultation the Surgeon and Client Coordinator we refer you to will fully explain the procedure and options available to you so that you can make a fully informed decision. Up to 2% of the population has ears that they consider to be too large or protrude too much. Ear correction also known as otoplasty, can correct protruding, large or deformed ears that have been a problem since childhood or following trauma. At the free consultation with the specialist facial Surgeon we will refer you to, you can fully discuss the procedure and recovery to make sure you have all the facts to make an informed decision. Signs of ageing such as wrinkles, furrows and loose skin on the face makes many men self-conscious. A facelift, also known as a Ridectomy, can help correct this by tightening the skin. Facelifts are often combined with other procedures such as eye bag removal, facial implants or dermal fillers to get the best result. At the free consultation, the Surgeon we refer you to will fully explain all the options available to you and give you all the facts about the surgery and the recovery period so that you can make an informed decision. Facial implants can add contours and definition to the face giving a more attractive and youthful appearance. Facial implants can be placed in the jaw, cheeks or chin to modify the shape and give the appearance of good bone structure. At your free consultation, the Surgeon we refer you to will assess your face and explain about the placement of the implants. The Surgeon and Client Coordinator will ensure that you have all the information about your surgery and recovery so that you can make a fully informed decision. 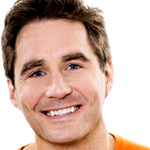 Hair thinning is a common problem that makes many men self-conscious. 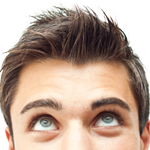 Hair Transplant is the only permanent solution to regain lost hair. The procedure is painless, scarless and does not require hospital stay.At your free consultation, the Surgeon we refer you to will explain the number of grafts you require for and give you details about the surgery and the recovery period to help you take an informed decision. Loss of facial hair may happen because of accidents, surgery, scars or burns, medical conditions or due to genetic causes. Beard and Moustache Transplant are very effective for sparse facial hair or patchy hair loss in these areas. 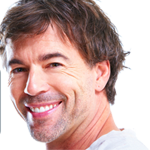 The procedure uses the same principle of hair transplant where hair from donor hair is implanted at the affected area. At the free consultation the Surgeon and Client Coordinator we refer you to will fully explain the procedure and options available to you so that you can make a fully informed decision. It is now possible to transplant hair to eyebrows where hair loss has happened due to genetic reasons or trauma. The procedure utilizes the same principle of hair transplant. It has given excellent results on scar areas as well. At the free consultation the Surgeon and Client Coordinator we refer you to will fully explain the procedure and options available to you so that you can make a fully informed decision about how you would like to proceed.